The Cav’s look scary. 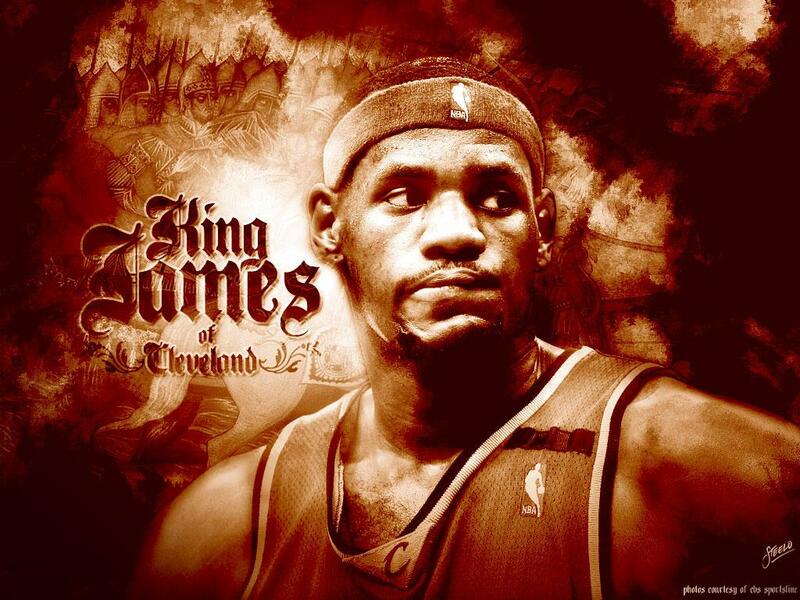 Should LBJ bring a title to Cleveland not only would this become an historic event for a dead city he would then have nothing more to prove by staying, LeBron James would then be considered, in chess terms, a “Knight” for hire. LeBron James: The Liberator of Dead and lost Cities. He can rebuild them, make them faster and stronger than ever before. In one single breath he can revitalize and breathe new life into the lifeless. LeBron James, the one man that can restore the economic wealth to cities who’s lifeline points to null. Showing the world how someone’s else’s garbage is another team’s treasure. LeBron James can claim to be a resuscitator of Dead Cities and a pied piper of talent that will follow wherever he goes. The “B” level players currently around LBJ would never come off the bench in the 80″s or the 90’s let alone be in the starting lineup. Jordan nor Kobe could say that they have. If LeBron James wins another NBA championship this year while in Cleveland, the home were nothing is happening except for basketball he will have no reason to hang around after restoring pride to the prideless. LeBron James should not to be compared to Michael Jordan or to anyone. LeBron is in a class by himself. Hater’s gonna hate… Lebron James has taken “B” level players and make them look like All-Stars. Nobody in the history of basketball can say the same. I wonder what Carmelo Anthony is thinking? I ponder if Melo, Durant and a bunch of others have learned anything while watching the NBA Finals. The question should be ask to them, what is the difference between LeBron and yourselves? It’s about having a new personal psychology; a mindset to be and to bring more to the table than what you’re currently bringing to the table. I love Melo but I demand bully ball from him. Attack the basket mentality like Russell Westbrook. When LeBron James is done he will have surpass Michael Jordan (6 rings) and Kobe Bryant (5 rings) on every level hands down. Play yourself to think otherwise. This is not a shot at M.J… Michael Jordan will go down as the best shooting guard ever to play the game. I’m proud to have lived in a time to bare witness to greatness. Yes, these are bold statement but LeBron James has backed it up. Do your research. As anyone can see in the past, when LeBron James first arrived to Cleveland he brought new life, revenue, hope and the playoffs. When Sir James left Cleveland they never have seen the playoffs, lost revenue, lost hope as zombies walked the streets of Cleveland praying for his return just as the entire world is waiting on Jesus to return. He ventured to Miami to learn how to win a championship under Pat Riley and D. Wade. LeBron instilled enthusiasm about basketball to a baseball town. After LeBron left Miami and returned to Cleveland, Miami failed to make the playoff’s. Now that speaks volumes.